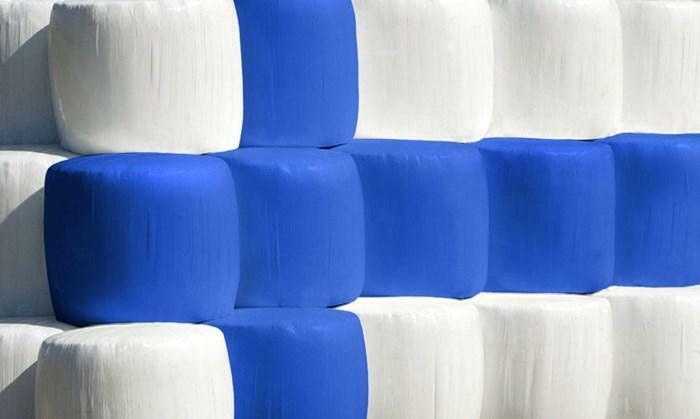 Last year Rani Plast, Finland’s largest manufacturer of plastic films, decided to celebrate the centenary of Finland’s independence by making blue and white silage bales. Together with the K-maatalous, Rani Plast is now hosting a related photo contest on Instagram. Anyone with a public Instagram account can participate in the contest by using the hashtags #raniplast and #suomipaalit in their photo. The contest will run for the duration of the whole harvest season, from mid-June to mid-August. The grand prize for the best photo is a K-Group voucher to the value of €500. In addition, smaller €50 gift cards will be awarded every two weeks. There should be plenty of subjects to photograph all over Finland, since Rani Plast manufactures most of the agricultural films used in the country. Around five per cent of this year’s silage bales are blue and white centenary bales. Not only do the bales beautify the fields, they have also been used to raise money for charity. One euro for each campaign roll sold was donated to the Mannerheim League for Child Welfare, resulting in a donation of €14,000. You can read the photo contest rules here.